Is Restaurant Social Media Really That Important? Food is a powerful way to bring people together. In one way or another, food conditions our daily experiences everywhere, from work and family events to how we are introduced to new cultures, lifestyles, traditions and more. Our points of view, our memories and our lives in general can easily be influenced by just one meal and the experience surrounding it. For a restaurant, having guests sharing their favorable experiences can mean more business. How do guests share their food experiences? Through social media, of course. Relevant phenomenons such as foodstagramming have people taking and sharing pics of their food at their favorite restaurants. Real-time feeds such as Facebook Live or Periscope allow for an even more intimate way of sharing with your followers through live feeds. The sensation is all around us… and it can’t be stopped, so, why not join? Do you have proof that restaurant social media works? Human beings want to connect, it’s in our nature. We want to connect with other people and with brands that allow us to feel that we belong. 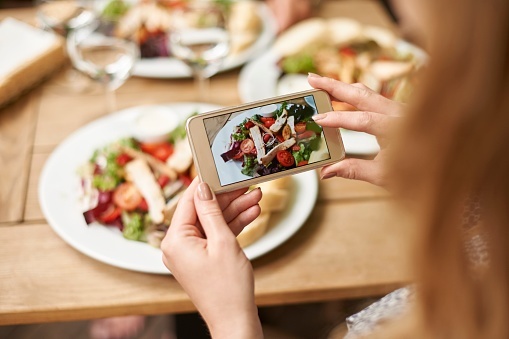 As a result, restaurants need to be proactive by engaging with their guests through the pertinent social media channels and making it easy to share their social experiences at your restaurant. For a limited-of-time, Kulture Konnect is conducting a free social media audit! Engaging and creating valuable customer experiences - Selling food is not enough. What really makes a difference is the experience that a restaurant provides. This experience starts from the first interaction through a website or, more commonly, through a social media channel… And it extends itself once the actual dining experience is over by enabling guests to share their experiences with their online communities. 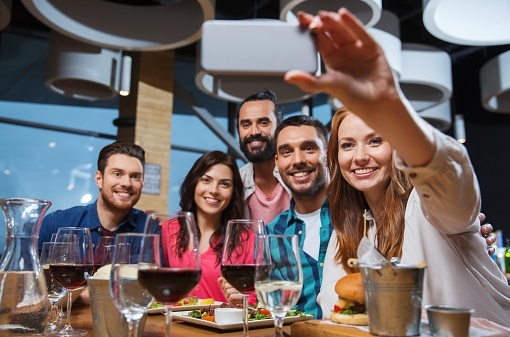 Improving trust and loyalty to your restaurant brand - When restaurants encourage guests to share their experience online through images and comments, you create an environment of trust and belonging, which creates brand loyalty. Driving brand advocacy - This has a lot to do with the foodstagram phenomenon we mentioned earlier. Any guests sharing an image of their meal with their online friends is a potential brand advocate. As a restaurant owner, you need to empower brand advocates and create environments to amplify their messages. Food is a powerful force. As a restaurateur, you should always remember its faculty to bring people together by providing your guests with experiences for not just their taste buds, but all 5 senses that will stay with them forever. With this said, we know first-hand how intimidating social media can be because it forces you to give up control about what you want to communicate as a brand. However, if you manage your customers’ experience properly and embrace their input and the different ways they engage, you can significantly increase favorable participation through social media channels and generate the necessary conditions to develop positive buzz about your restaurant.